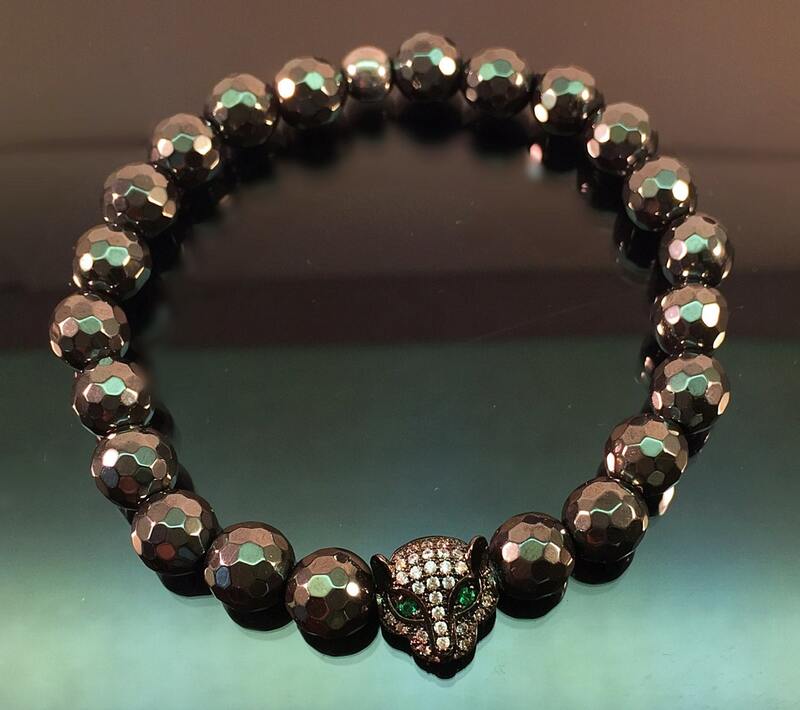 Authentic CZ Diamond 14k Gold, Silver, Gunmetal Rhodium or Platinum plated Leopard Head Gemstone Beads, Men or Women Bracelet. 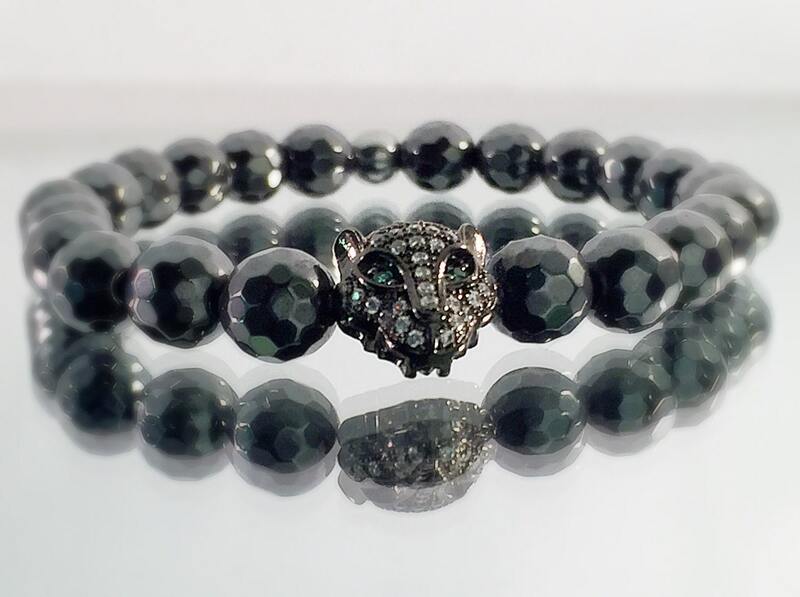 Handmade designer luxury bracelet crafted with semi-precious stones, CZirconia cz diamonds and precious metals. 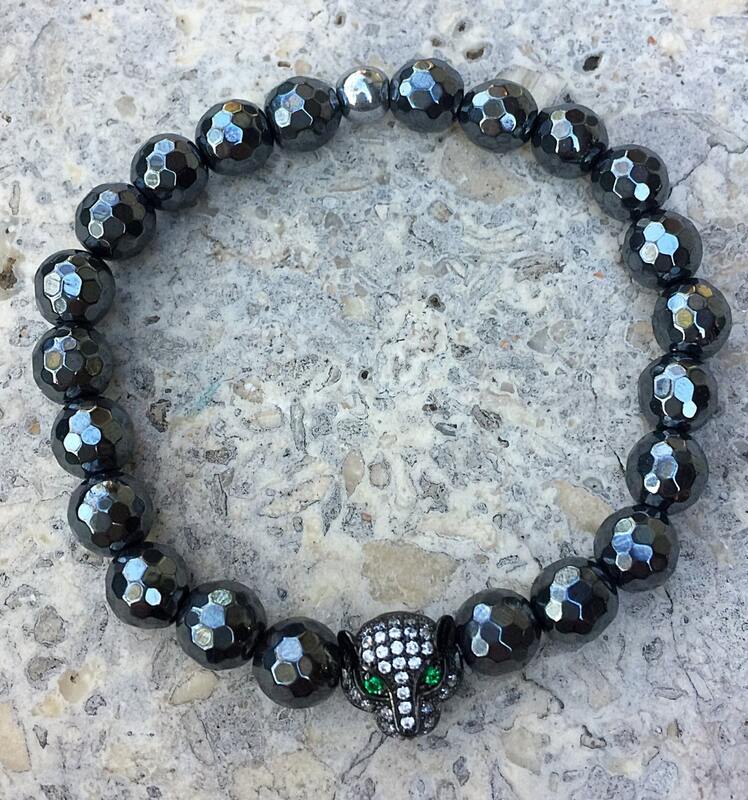 Beautiful Sparkle and intricate detail. 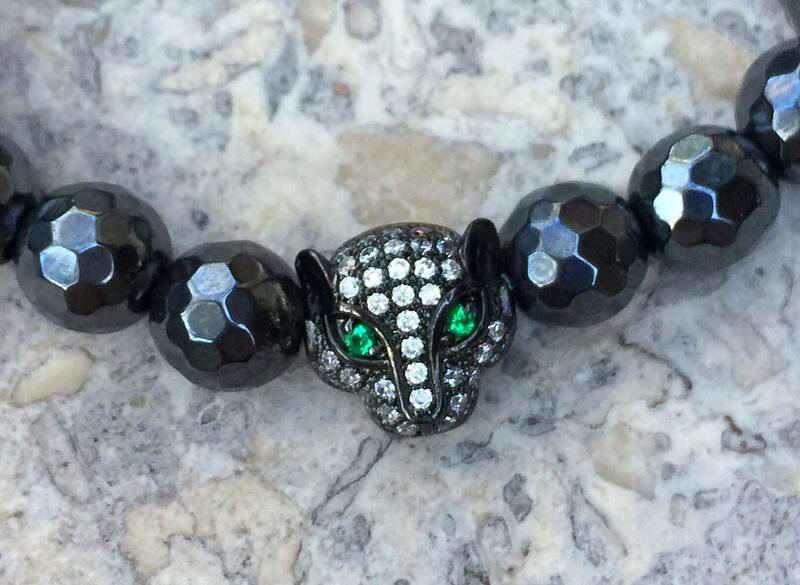 Made with: 11mm CZ Diamond Rhodium Black Leopard Head with 8mm faceted Hematite beads and Black Crystal Rondelles beads. 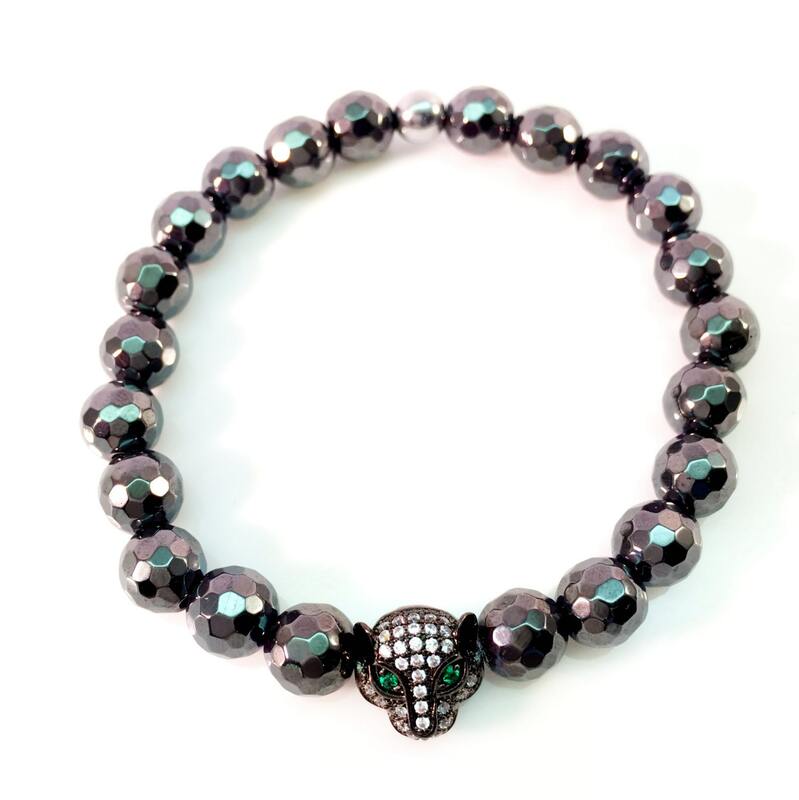 This listing is for one (1) bracelet and comes packaged in a drawstring pouch placed in a gift box, ready to be gifted.